Vertical-Life was built by climbers for climbers. Find all the information you need on outdoor and indoor climbing, track your activities, and share your experiences with others. The digital climbing guidebooks on Vertical-Life work online and offline. Vertical-Life will be your smart companion from approach to top-out. Local authors and publishers ensure continuous updates and accuracy of climbing topos. Free climbing gym content at your fingertips. Indoor sport climbing and bouldering topos, rankings and circuits. Check all indoor gym features, get updates on new routes, and meet climbers in your area. If your gym isn’t yet featured in the app, let us know and we will contact them. 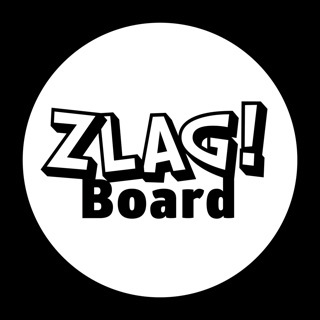 Personalized route book of all indoor and outdoor routes and boulder problems marked with a "Zlag!" to keep track of your ascents. Upload your best shots from the crag, comment, and share with friends. Follow friends and climbers from all over the world. Share your top accomplishments, motivate each other, and climb as a team for your local gym. Participate in local and global challenges and rankings with your friends. Reach new goals, unlock climbing achievements, and win great prizes that are all about climbing! This app shows the potential that apps can have. I think that with some more support and work this app can really improve the community around climbing. Whether or not you train by yourself or you enjoy climbing with friends on the weekend I think this app has a lot of potential to make that experience more enjoyable. Hello, Thank you for your positive words! Also, remember to check out our new free training feature! Great app! It is improving a lot with every update! It is great to have guidebooks in your pocket! It is even better to have your personal statistics in your pocket. Can’t wait for the training plans to come out. I think it is a must have climbing app! Since the day I got the app I have noticed that with every update they are pushing forward; adding new features, refining existing ones. It’s innovative and adds to the climbing experience. Proud to be an ambassador of such a great company.